HOW BAD IS THIS? Guests show up late at communication minister's gala dinner event, grab goodie bags, order food, and leave. I'm just back from the really exquisite gala dinner at Pigalle's in Cape Town that the minister of communications Roy Padayachie held after his budget speech today in parliament. He entertained government officials, the portfolio commitee of communications, the media, and national telecom and IT execs with a lavish evening of live entertainment including Lira singing and a terrific multi-course dinner. Although the invite said 18:00 for 18:30, incredibly impolite guests kept arriving and sauntering in disgracefully until 22:00. Several people also arrogantly grabbed the goodie bags at arrival, meant to be given to them when they leave. Inside was, amongst other things, a free cellphone from 8ta as well as a sim card and free airtime. Of course some couldn't wait to pack out the contents of their goodbie bags in full on the crisp white linen of the 5 star restaurant closed for the evening's private function. Suddenly half of the things (I won't call them people, people have manners) at my table 42 got up, took their goodie bags and left. Without saying goodbye or anything. And that's after they have arrived very late, and after they have put in orders for their main course and dessert - food that's being prepared and will be going to waste. Of course these rude and arrogant women either knew they're getting cellphones through the grapevine, or just showed up anyway to see what loot they can get. If I knew their names, they would be named and shamed right here. Who does this? It's disgusting. They couldn't even call the waiter and say: ''We're leaving, can you please cancel the order?'' or ''Can we get our order in a doggie bag?''. And why even fake it all and order in the first place if you know you're going to leave after a short while? I had to tell the waiter, ''these people sitting here are no longer here and are not coming back.'' 'Shocked faces. ]They left even before Lira, the headline act for the evening, sang one note. The arrogant gauche caviar elite in South Africa's communications industry and related fields who don't pay with their own money, dazzle from party to party to forage for food and gifts, and therefore think and behave like spoilt brats have very little manners. Sadly, they don't know how to behave, or do, and don't care. They appear to be in it for only what they can get (someone else at my table actually said ''always f- the system'' before he left to go and sit at another table where there's more wine). These arrogant new elite with access are shameless in their behaviour and not what South Africa or any country need (or should be about). Next time I will get your names disgusting and abusive and exploitative trolls, and I will keep my eye on you. The keeper at the door with the VIP attendance list didn't recognize Pippa Green, SABC board member and kept flicking, flicking through her list, but couldn't find her name. Pippa Green eventually got her table. MultiChoice is donating 1 000 blankets (yay!) to the needy. The SABC's acting group CEO Robin Nicholson also attended the lavish function. He'll now have an 8ta cellphone and number where the trade unions won't be able to reach him. Azania Ndoro was a wonderful MC for the evening. Roy Padayachie fell ill but still delivered his speech. BREAKING. Set-top box standards for DVB-T2 for South Africa to be finalized at the end of 2011; subsidy scheme to be revealed in August. The minister of communications Roy Padayachie said is his budget speech in parliament today that South Africa's switch-over to from analogue TV broadcasts to digital terrestrial television (DTT) - a process known as digital migration - will have set-top box (STB) standards finalized by the South African Bureau of Standards (SABC) for the DVB-T2 standard in the last quarter of 2011 and the switch-over starting in the second quarter of 2012. ALSO READ: SABC warns South African government that it will become ''financially unstable'' without an additional R408 million to fund DTT. With less that a year to go, no details have yet been made known as to the specifics of the subsidy process and how the department will choose and subsidize the consumer uptake of STB's in the transition to DTT. Roy Padayachie said the details of the subsidy scheme will be revealed in August 2011 when the plan will be presented to cabinet. The department of communications will select local STB manufacturers in November 2011 to make the DVB-T2 enabled STB's that will be sold from 2012. In June 2011 the state signal distributor Sentech will switch on the first DVB-T2 test signal at the Brixton tower in Johannesburg for the Johannesburg metropolitan area. Sentech will try to cover 80% of South Africa by the end of 2012 with broadcasters' analogue signals that can hopefulyl be switched off by the end of 2013. BREAKING. SABC warns that it will become ''financially unstable'' without an additional R408 million to fund digital terrestrial television. 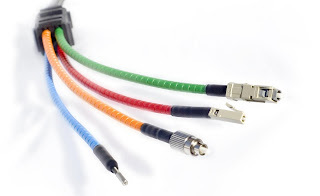 The SABC has told the South African government in no uncertain terms that the public broadcaster's switch-over in the process to digital terrestrial television (DTT) without massive additional funding ''will lead to the corporation not being financially sustainable''. The SABC wants R408 million for DTT as soon as possible. The South African public broadcaster is asking the government for substantial assistance, saying that the switch-over the SABC will start in 2012 from analogue broadcasts to DTT - a process known as digital migration - will financially crush the broadcaster if the government doesn't intervene. The SABC is requesting government to ''permit additional borrowing'' as part of the government's loan guarantee granted through Nedbank and an additional R408 million to fund digital migration. It's funny that some journalists last week wrote that the SABC isn't asking the government for more money although I already wrote last month that the SABC has made it blatantly clear to the South African government that it needs millions more - and soon. Not only did the SABC tell parliament that it needs additional funding to pay severance packages for the downsizing (story RIGHT HERE) that is looming because of the ''bloated'' staffing levels of the SABC (story RIGHT HERE) - the SABC reiterated and added more reasons - like DTT - in a second parliamentary appearance. 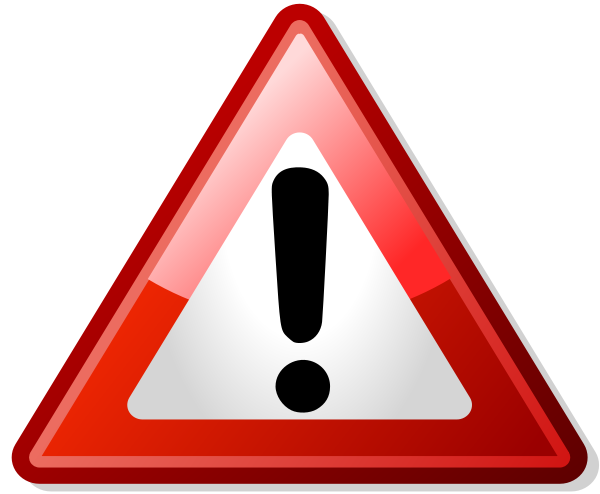 The SABC is warning the South African government that it will not be able to ''carry out the project'' - referring to DTT - ''without the necessary funding''. The SABC wants to launch its DTT multiplex in the 4th quarter of 2012. The SABC is also using R66 million to start its new 24 hour local South African news channel that it wants to launch by 1 October on MultiChoice's DStv. The SABC has also taken on additional ''operational costs'' for which it needs a big additional money injection: a ''turnaround planning unit'', a new ''digital media unit'' and website development, designing a new ''commissioning scheme'' (for programming) as well as various techonology projects. ''Our aim is to compete. 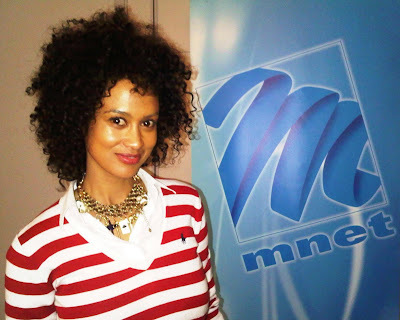 To compete decisively for each and every viewer in each and every timeslot,'' says SABC1 acting channel head Leo Manne. ''Our aim as three TV channels are to compete. And to compete decisively for each and every viewer in each and every timeslot, each and every day.'' So says SABC1's acting channel head, Leo Manne, when I asked him about this story I wrote in November last year about the SABC's planned new network strategy to stop the three SABC channels from ''cannibalizing'' each other's viewers. BREAKING. Complete revamp coming for SABC3's primetime news bulletin, News @ 7, to give it ''a more sophisticated, international'' look. I can reveal that SABC3 and the public broadcaster's news division SABC News is working hard at a total makeover and overhaul of the commercial TV channel's primetime daily news bulletin at 19:00, planning a complete revamp for the News @ 7 that includes a new set and graphics, as well as the way in which the news content is shown within the daily half hour bulletin. SABC3 gave no specific date for the relaunch of SABC3's News @ 7 but its pegged for close to October this year when SABC3 plans to relaunch with a complete new look, on-air graphics and a more refined scheduling structure. With the News @ 7 revamp SABC3 will try to gain back market share and woo back viewers who've deserted the News @ 7 in droves over the past three years with the viewership of bulletin continuing to slide while e.tv's eNews Prime Time news bulletin at 19:00 keeps growing. EXCLUSIVE. Backstage drama rocks M-Net's soap The Wild as executive producer and series producer are let go; replaced with Bobby Heaney. Backstage drama continues to engulf the struggling new M-Net soap The Wild with tension on the production that has now reached boiling point to where I can now exclusively reveal that the executive producer Bronwyn Berry and series producer Richard Nosworthy (''who've worked his $$$ off'', as sources tell me) is no longer with the show. Bronwyn Berry will immediately be replaced by Bobby Heaney from the Imani Media production company as the new executive producer of this weekday M-Net soap. ALSO READ: Wild drama behind the scenes of M-Net's The Wild as actor Tony Kgoroge departs the show. ALSO READ: Putla Sehlapelo replaces Tony Kgoroge on M-Net's The Wild after backstage contract drama. Bronwyn Berry did not immediately respond to media enquiries from TV with Thinus about The Wild's production upheaval. M-Net also didn't immediately respond to media enquiries but have now said questions can be emailed which TV with Thinus have done. As soon as there is a response from M-Net, it will be added to this developing story. UPDATE: M-Net has now responded in full to questions addressing what is going on behind the scenes at The Wild. Find those RIGHT HERE. I'm exclusively told that Bronwyn Berry is now definitely out as executive producer of The Wild after word about the major production changes started circulating towards the end of last week within the shocked South African TV industry. Bronwyn Berry will be replaced immediately with Bobby Heaney from Imani Media. Since Imani Media is a production company in itself and since The Wild has been produced in-house by M-Net's Magic Factory, its not at this stage clear whether The Wild will now be produced by Imani Media (since the EP usually brings in, or chooses his own directors, production managers and line managers). I'm told Richard Nosworthy as series producer on The Wild is also out, although he will still be staying on for a few days or weeks, since the nature of his job and the sensitivity of the information he deals with is not like that of Bronwyn Berry. Both were brought in to the production of The Wild and will now be able to pursue other ventures. I'm told by various sources - and I'm awaiting M-Net's response on this [UPDATE: Find M-Net's response RIGHT HERE] - that it is allegedly the tumultuous production environment of The Wild that has led to Bronwyn Berry and Richard Nosworthy's departures which comes after a string of resignations the past two months. These include the resignations of head of departments like the head of lightning on the soap over the past two months. (like Trevor Brown, head of lightning who left and took his entire team with him for instance) and others who simply didn't want to work on the soap anymore. The agency industry is also abuzz with chatter that Tony Kgoroge apparently plans to take M-Net to court now after last week's CCMA meeting which didn't resolve anything. Both Tony Kgoroge's representation and M-Net are still at loggerheads and neither side willing to budge on the issue of contracts and residuals. I've also asked M-Net about this. I've also asked M-Net about how the pay broadcaster feels about The Wild's viewership. Egoli used to be tied for number one or number two most popular show on M-Net for many years. According to the latest viewership information (week 20's TAMS) The Wild does not appear as one of M-Net's top 10 shows. Neither Bronwyn Berry not M-Net has responded immediately to media enquiries I've made about these new development bubbling out about The Wild, but as soon as there's any response I will bring it. The Wild became the first South African local soap production to be picketed when actors who were unhappy regarding intellectual property rights and the way in which M-Net's contracts for the soap works, had a public protest during the show's media launch in April. REVEALED. As The Oprah Show ends, an executive insider reveals how the show first came to South Africa - and how SABC3 fought to get it back. With The Oprah Winfrey Show (SABC3, weekdays, 17:30) that ended last week in America (and which will conclude in South Africa around mid-September) I asked one of the singularly greatest South African television executives I know, Hannelie Bekker, to reveal some of the fascinating insider secrets behind how The Oprah Winfrey Show first came to South Africa. NNTV (National Network Television) which later became SABC3 added The Oprah Winfrey Show in 1994. The new free-to-air commercial upstart e.tv ''stole'' The Oprah Winfrey Show in September 1998 when it whipped the show out from under SABC3 for an undisclosed some of money, but then in September 2004 I broke the news in an exclusive story that the talk show would be going back to SABC3 from 2005. 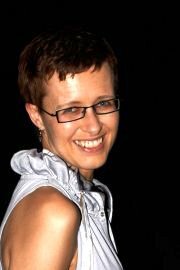 Last week I asked Hannelie Bekker, then programming manager at NNTV and later SABC3 and now the managing director of the Wananchi Programming Group in Nairobi, Kenia who was responsible for first bringing The Oprah Winfrey Show to South Africa, about her thoughts about the show. Hannelie, can you shed some light on the thinking behind the scenes at the SABC and SABC3 regarding the original acquisition of Oprah. The talk show and Oprah wasn't really known in South Africa. 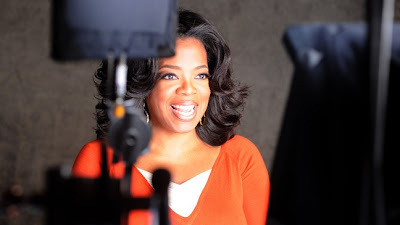 What was some of the thoughts behind considering getting The Oprah Winfrey Show for South Africa and did you think it would work as a daily talk show and why? Even in 1994 it felt almost self evident that Oprah Winfrey would resonate with South African audiences. Here was a black woman from humble beginnings who had become an enormously powerful and influential media presence - it's very consistent with modern South Africa's belief that people are not limited by where they come from, a kind of "rags to riches" blueprint in our national psyche. How quickly after The Oprah Winfrey Show started did you knew that you had a hit? Oprah's appearance on the channel was welcomed and praised, but it actually took quite a long time for it to build up substantial ratings. Viewers were initially dipping in and out, maybe watching once or twice a week. So we were happy with the positioning value of the show, but ratings and advertising struggled to catch up. When e.tv started, the new free to air channel 'stole' Oprah away for a few seasons when the show switched channels. What was the reaction at SABC3 behind the scenes? Of course we were dreadfully disappointed, and rather outraged: at that point it was just not the done thing - poaching a competitor's show. However, given quite low ratings we couldn't really justifying entering into a price war for the show. Then e.tv decided not to continue with The Oprah Winfrey Show in 2004. I very distinctly remember asking you, and you telling me at one of the SABC3 quarterly press screenings that although the SABC and SABC3 haven't picked up Oprah again, ''don’t worry, there is no way that South Africa will not get to continue to see Oprah''. Then SABC3 announced shortly after that Oprah will be back. What happened behind the scenes to get Oprah back? I suspect that when I told you that, that we must have been negotiating behind the scenes ... It was simply a question of convincing the rights holders that SABC3 was indeed the right home for The Oprah Winfrey Show, and that we would give it the prominence it deserved. You will remember that Oprah came out and addressed a breakfast meeting at the time in South Africa - and it was only then that I personally succumbed to "Oprah magic" - because in person she was absolutely irresistible. O, The Oprah Magazine also launched around then if I remember correctly, so that was when there was a kind of incremental leap in Oprah's profile and popularity locally, and when ratings really solidified. The Oprah Winfrey Show has really become one of the signature shows of SABC3 over the years. What do you think the show has meant to the channel? 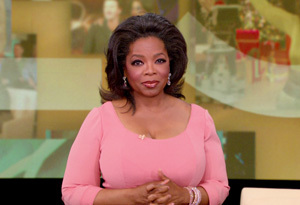 Oprah is an international phenomenon, and it was important for South African viewers to be able to share in that. Her personality is so large and warm, it rubs off on everything around it! What’s the allure of Oprah? Why did her show – now in 145 countries – translate so easily to specifically South African TV audiences who really embraces this talk show? I think that on one level Oprah's allure crosses borders with consummate ease because she has the gift of being deeply and publicly "human" - of sharing her life experience with a global audience in a way that makes everyone feel that she is connecting with them personally. As far as South Africa is concerned I think that her belief in aspiration, and in living the best life you can really resonates very deeply. And of course there is that huge generosity and warmth, and connectedness with people and the world - very "ubuntu" now that I think about it!" ALSO READ: ''Goodbye, Opie.'' How Homer Simpsons struggled to say goodbye to Oprah Winfrey. 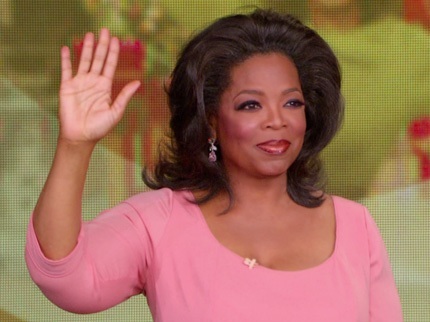 ALSO READ: ''A Beautiful Goodbye'' as The Oprah Winfrey Show comes to an end in America. ALSO READ: The end of an era as the age of Oprah comes to a close with the last episode of The Oprah Winfrey Show in America. ALSO READ: ''We're all quite nostalgic about The Oprah Winfrey Show coming to an end,'' says the South African editor of O, The Oprah Magazine. BREAKING. Noeleen Maholwana-Sangqu of SABC3's 3Talk with Noeleen is planning to climb to the top of Mount Kilimanjaro. 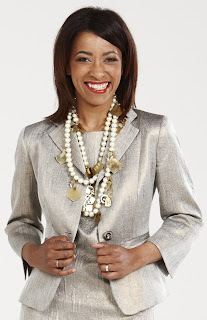 Noeleen Maholwana-Sangqu of 3Talk with Noeleen (SABC3, weekdays, 15:30) is planning to go to the top of Kilimanjaro, with the talk show host working on climbing to the highest point in Africa and taking her viewers along for the adventure. Besides Noeleen Maholwana-Sangqu scaling the highest mountain in Africa and visiting Tanzania, the planned relaunch of 3Talk with Noeleen which has now been dragging for over 2 years is definitely still on the cards. 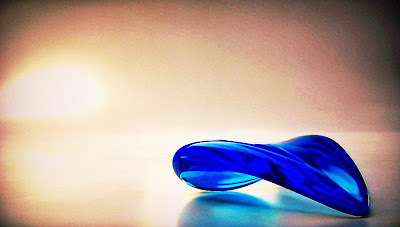 ''Everytime we gear up, something puts a spoke in the wheel,'' says an insider close to the show. RUMOUR PATROL. The SABC's Robin Nicholson, isn't going anywhere. In fact, his contract's been renewed long ago already. Don't believe the rumour-not-facts stories from lazy journalists who don't really cover media and television as a real beat and then want to froth at their keyboards when they overhear cocktail party gossip. Last month a red top Sunday newspaper had a ridiculous story about the SABC's longtime chief financial officer (CFO) Robin Nicholson (who's also the acting group CEO) who might have to leave the corporation. 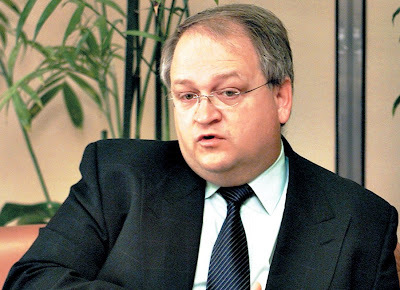 According to the rumour-dished-up-as-fact business story immediately dismissed by everyone who knows better, the continuation of Robin Nicholson's contract as CFO could apparently not be guaranteed or ''reserved'' since the SABC has been freezing all appointments. That meant - according to the dribble - that the SABC could be without a filled CFO position. The real facts are these: Robin Nicholson's current employment contract as CFO would have expired in June, but had already been renewed months ago. In fact, Robin Nicholson's contract renewal was discussed by the SABC board and SABC chairperson, dr. Ben Ngubane as far back as January of this year. Robin Nicholson isn't going anywhere and the SABC's CFO position is filled and will remain filled. SABC says looming staff reduction is a promise made to get government loan guarantee; dr. Ben Ngubane says SABC's staffing level ''bloated''. The SABC that wants to shrink its workforce to 3 000 by 2014 and plans to get rid of 700 workers over the next two to three years says the staff reduction was a promise made to the government in return for the loan guarantee of R1,4 billion to help save the public broadcaster from bankruptcy. Dr. Ben Ngubane called the SABC's staffing level ''bloated'' and said that it was decided not to extend or renew any employment contracts when they've expired. He said vacant positions are advertised, allowing anyone to apply for the position. ALSO READ: South African public broadcaster plans to get rid of 700 workers. BREAKING. M-Net unveiling a brand-new on-air look on Wednesday, 1 June with a new opening sequence, line-up cards and bumpers. I can exclusively break the news that the M-Net channel (DStv 101), which will include M-Net HD (DStv 170) will unveil a new on-air look on Wednesday 1 June that will include a new opening sequence, line-up title cards and bumpers but will retain the current blue ribbon-device M-Net logo. A source familiar with the project tells me the M-Net logo will remain untouched, although everything else viewers see on-screen will change. ''It's the same show content, just a different look,'' says another insider. 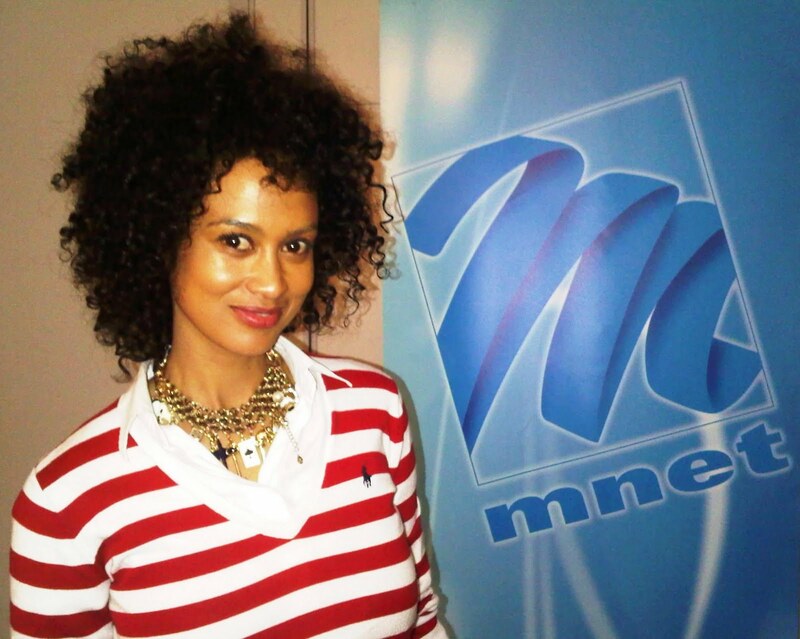 M-Net's on-air look last changed in June 2009, and will now be changing again - exactly two years later - on Wednesday. ''It's lighter; brighter,'' a person knowledgeable with the coming change tells me, after I asked. ''It's been planned for a while. It's also because of M-Net's 25th birthday in October. It's really a big year. M-Net needs to and wants to stand out.'' An enigmatic 3 second teaser has been running for the past few days on M-Net and M-Net HD. 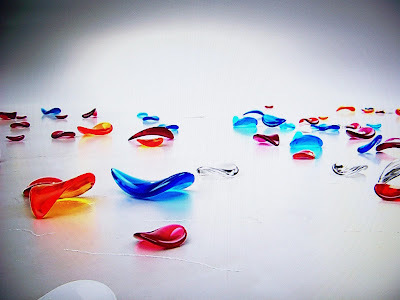 It depicts translucent blue, orange, clear and cherry coloured glass-like petals with just the words ''coming 1 June'' at the end and no explanation. ''It's really, again, quite a departure from anything M-Net's had before regarding its on-screen imagery. It's all very flowing and in keeping with the M-Net image. 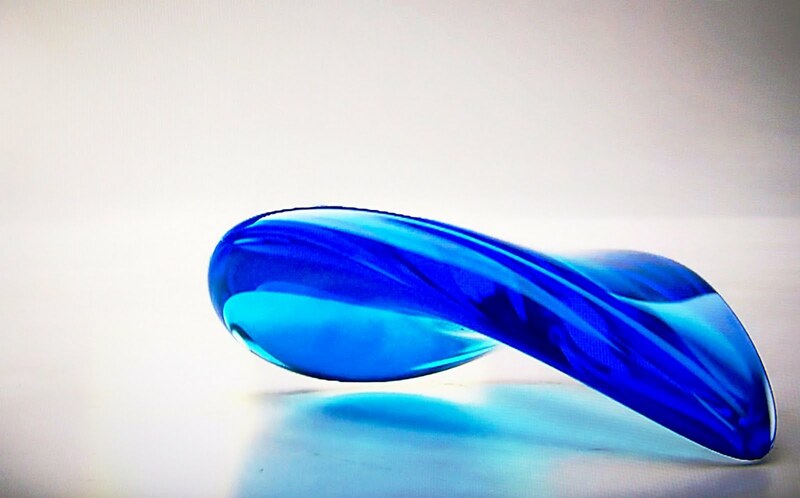 It's inspired by a liquid, airy, breezy, petal feel; yet very contemporary and clean. 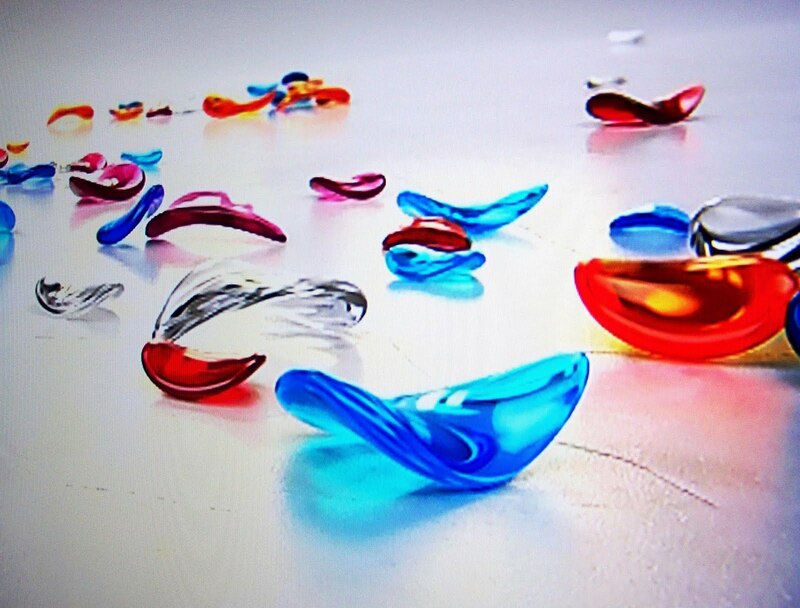 It's sophisticated and yet leaves the viewer with a feeling of playfulness. It's fun. It says quality 'entertainment','' I'm told. TV executives from MultiChoice to TopTV, SABC and M-Net attend the annual LA Screenings looking at the new upcoming TV content. South Africa's top TV executives all went to the annual LA Screenings that just ended in Hollywood and I can reveal that they are now fully aware of what is out there in terms of new TV shows and what new TV content will become available, and hopefully new full TV series, this year. I can reveal that M-Net sent representatives, and MultiChoice's Aletta Alberts, general manager for content was also there. She told me herself at the launch of the the Disney XD channel that she's going. Insider sources at On Digital Media (ODM) confirm to me that TopTV's CEO Vino Govender as well as other TopTV execs attended the LA Screenings this week. Sources told me last week that SABC3's new acting channel head Ed Worster is also there. The LA Screenings - that was held at The Hyatt Century Plaza in Los Angeles this year - is not a trade or buyers market, of course. TV executives can't and don't do deals at the LA Screenings - although they do hobnob and build relationships. Often its more the relationship than the money (although that's very important too) that later clinch the deal. Instead, international television executives are invited by the top Hollywood studios to watch the latest primetime pilot episodes of the American TV networks that will start in September when the new TV season starts. South Africa's TV execs watched all the new pilot episodes made by Paramount, 20th Century Fox, CBS Studio International, NBCUniversal, Sony, Warner Bros. and Disney, and talked to a wide range of exhibitors ranging from AETN International and Discovery Networks to MTV Networks International, Warner Bros. International Television Distribution and NBCUniversal International Distribution to name just a few. The biggest buzz was around the new Steven Spielberg time travel back to dinosaur action adventure series Terra Nova (Fox), although executives are wondering whether the quality of the show in terms of story and special effects would be sustainable for the entire first season. Executives were also impressed by Pan Am (Sony), the drama that's a Mad Men copycat and which is set in the 1960's airline that no longer exists. Other exciting shows creating chatter amongst executives are Fox''s drama Alcatraz by JJ Abrams about old secrets discovered inside the island prison, the fantasy drama Grimm, the Desperate Housewives-ish primetime soap Good Christian Belles (called GCB), the teen witch drama The Secret Circle that's very much like The Vampire Diaries and Ringer which is Sarah Michelle Gellar's return to television. Izak Davel has joined the soap Villa Rosa on kykNET (DStv 111) and will soon appear as the new character Delarey van Jaarsveld, his publicist confirms. Izak Davel, who was on an island and is known for uhm, THIS, will play a character who used to live on an island. Delarey van Jaarsveld returns from his island home and shows up at the Villa Rosa guest house after the death of his mother. He inherits a portion of the family farm and then there's drama. After a few appearances in the past Izak Davel made some further appearances on SABC2's weekly magazine show Pasella earlier this year, which made me wonder whether he was going to be joining that show as a presenter. Izak Davel was seen in the Getroud met Rugby movie earlier this year and is known for his first soap role of Scab in M-Net's now defunct soap Egoli. SPOTTED. The fantastic Faye Peters of M-Net's The Wild at the Food & Wine Show looking trendy-terrific. Marula berries, anyone? Anyone? Spotted at the Good Food & Wine Show 2011 in Cape Town - Faye Peters from M-Net's new weekday soap The Wild. I ran into the awesome-looking Faye Peters at the fantastic food fare. The trendy-terrific Faye Peters who plays Dinaledi Lodge chef Bernie Cupido in The Wild jetted into Cape Town for some good food, wine, and shopping and snuck into the show with dark glasses on. Faye Peters wasn't sitting for one minute in M-Net's VIP media lounge at the Good Food & Wine Show after having taken her sunglasses off, when fans flocked to her. ''Hi, can we get a picture please?'' some women asked her. Of course Faye obliged. She returns to Johannesburg tomorrow. George Lucas: 50 episodes of Star Wars live action TV show is ready to go; just waiting for technology to make the production process cheaper. Star Wars creator George Lucas says the live action hour long Star Wars TV drama is ready with at least 50 episodes but that he's waiting for better technology to make the project economically cheaper to produce. ALSO READ: New Star Wars TV live action show may be too vast and expensive for even George Lucas to bring to television. George Lucas wants to make the live action TV show to look just like the movies, but since it's set in his sprawling galaxy a long time ago and far, far away, the project is prohibitively expensive for Lucasfilm. The new TV drama is set in the same timeframe as the animated Star Wars The Clone Wars currently in its 3rd season on The Cartoon Network. This second TV show also set within the mythos of Star Wars, is supposed to follow after Star Wars The Clone Wars and will be set between the end of The Revenge of the Sith and the beginning of A New Hope. ''We have 50 hours [of scripts] and we're just waiting to figure out a different way of making movies, a different technology we can use ... to make it feasible to shoot the show... When we do figure this problem out it will dramatically affect a lot of movies. 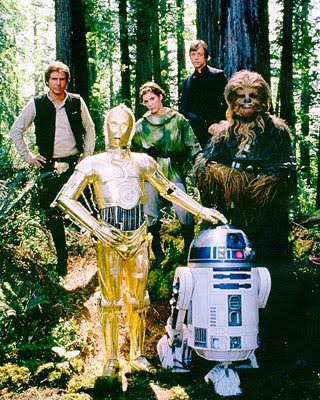 Right now it [the new TV show] looks like the Star Wars features,'' George Lucas said. BREAKING. Idols Extra the next 'new' DStv channel returning for a limited run to channel 199 from 5 June to show all the auditions. I can exclusively break the news that the next ''new'' DStv channel will be Idols Extra on DStv channel 199 which will go live from Sunday 5 June after the first episode of the brand-new 7th season of Idols on M-Net and Mzansi Magic (DStv 107). Of course Idols Extra - not officially announced yet by MultiChoice's DStv or M-Net - will actually be the next ''new'' channel after the new permanent Disney Junior channel that will start on Wednesday 1 June on DStv and has also not been officially announced yet. Like the Idols Extra channel that ran last year - also on channel 199, and also for a limited few months' run - sources are telling me that MultiChoice again requested the channel in exactly the same format from M-Net. Idols Extra will also be available to DStv Premium subscribers as well as DStv Compact subscribers. Last year Idols Extra was available on the DStv Compact bouquet as well, but will increase in viewer relevance since Mzansi Magic that's available as a channel on DStv Compact will be broadcasting the main Idols' episodes as well this year. ''Viewers and Idols fans simply love it [the extra channel],'' I'm told. Idols Extra will once again show all of the auditions starting with Cape Town, and progress to broadcast the individual city-by-city auditions in full as the reality show progress on its nationwide tour. There will also be some additional content not included in the main Idols show. The Idols Extra channel on channel 199 will once again run for 24 hours per day and will start at the end of the first episode of Idols on 5 June on M-Net. BREAKING. e.tv's Step Up Or Step Out is stepping up in a big way - with great viewership numbers as South Africa's biggest new reality show. e.tv's new dance reality show Step Up Or Step Out is stepping up in a big way: Step Up Or Step Out produced by Endemol SA is this year's biggest brand-new reality show on South African television and a local concept. Step Up Or Step Out (Sundays, 18:05, e.tv and Step Up or Step Out: Flipside on Tuesdays at 20:30) has immediately proved a strong performer viewership wise to become the 7th most watched show on e.tv overall, with only Rhythm City, eNews Prime Time, Scandal! and WWE wrestling on the channel getting bigger higher numbers. Seen overall, e.tv's Step Up Or Step Out is the 2nd most popular reality show and local reality show in South Africa, just getting beaten by the second season of SABC1's Class Act. For week 20 (this week that just ended and in which that disastrous broadcast of the inept and unprofessional MTN Sama Awards still notched an impressive 13,4 AR viewership on SABC1) TAMS indicates a 7,2 AR for e.tv's Step Up Or Step Out. Insiders tell me that the channel and production company were initially scared that too few dance teams would show up and that it would make it a difficult production to find enough on-screen content for. That is exactly what happened, but the groups that did show up for auditions provided enough ''jewel content'' - both good and bad. The amazing viewership for Step Up Or Step Out is great says a source. ''It means that many people are watching this and will see what it's about, be aware about it, and hopefully enter a second season''. Expresso turning into a major morning viewership winner for SABC3; keeps growing and building TV audience in its new additional half hour. SABC3's breakfast show Expresso is turning into a major morning viewership winner for the channel. Expresso is showing remarkable ratings growth the past 6 months since it started in October last year, and which is the reason that led SABC3 executives to extend the Expresso timeslot by an additional half hour - a half hour that TV with Thinus can reveal - has already grown SABC3's morning viewership even further from what it used to be. At the beginning of February I broke the news RIGHT HERE that Expresso, that started in October on weekdays from 05:30 to 07:30 would get its timeslot extended by an additional half hour from April. A month later, in March I broke the news that the April timeslot extention was postponed a bit but it eventually happened a few weeks into April, starting on Friday 22 April - Good Friday - with Expresso broadcasting from 05:30 to 08:00 on weekdays. I can exclusively reveal that SABC3, as well as Tswelopele Productions producing the show, couldn't be happier with Expresso's early morning performance. Despite the crowded South African breakfast show landscape with SABC2's established Morning Live and e.tv's strong Morning Edition both formidable contenders, the perky lifestyle show with bubbly presenters like Liezel van der Westhuizen and Ewan Strydom immediately lifted the early morning viewership on SABC3 since Expresso's start in October. In the past month Expresso immediately started to lift the viewership of the additional 07:30 to 08:00 half hour timeslot on SABC3 as well. Expresso, produced from Cape Town and broadcast live, is fast becoming a strong bookend for the SABC3 schedule, kicking off the channel's daily programming with local content that's getting viewers to tune in, and to stay tuned in. Early indications are that viewers gravitate towards Expresso's strong focus on lifestyle orientated segments like cooking and fitness, it's revolving door of local celebrities, and a string of local musicians and artists who are profiled and also perform live. The show is taking a page from the also Tswelopele Productions-produced Top Billing SABC3 primetime show, by creation a softer, glammed-up approach to early morning television. And it's working. Despite multiple promises to respond following several requests, Tswelopele Productions didn't respond to media enquiries made the past two weeks by TV with Thinus regarding Expresso's spectacular ratings rise for this article. SABC3 did respond. ''The performance of Expresso on SABC3 has been steadily increasing since the show launched in October,'' Lefa Afrika, SABC3's programme manager tells me. Programming note: I will be talking about the Oprah Effect today, a few minutes after 17:00, live on the eNews Channel. I will be appearing on the eNews Channel (DStv 403) as a TV critic later this afternoon - a few minutes after 17:00 - to talk and discuss the Oprah Winfrey Effect. With the end of The Oprah Winfrey Show in America where the final episode was just broadcast after 25 years, I'll weight in, in a live discussion, with a bit of my own analysis, opinion and perspective on the long-running TV show and the famous talk show host. The end of an era as the age of Oprah concludes with the final episode, after 25 years, of The Oprah Winfrey Show. Here's a sneak clip and a few minutes from the very final episode of The Oprah Winfrey Show that came to an end today in America with talk show host Oprah Winfrey alone on her stage talking to her audience. I was spot on with my guess that Oprah Winfrey's guest for her last episode would be herself. The intro music and the music playing in and out of commercial breaks were also Paul Simon's adapted version of his 10th season Oprah theme song which I, right here in September last year, said would be perfect to actually close out the final Oprah episode with. In the audience were people like Mrs Duncan (who've appeared years ago on the show), Oprah's 4th grade teacher. The final episode was all about her biggest life lessons and her most memorable moments. ''It has been a privilege for me to speak to you here. You let me into your homes to talk to you everyday. This is what you allowed me to do, and I thank you for that. But what I want you to know is each of you has your own platform. Do not let the trappings here fool you. Mine is a stage on a studio. Wherever you are, that is your platform, your stage, your circle of influence. That is your talk show and that is where your power lies,'' she said. IS THERE A RED DOT SALE? DStv Media Sales is the new name of Oracle Airtime Sales. But what a really UGLY new logo. DStv Media Sales is the new name of Oracle Airtime Sales (OATS), the advertising sales arm of MultiChoice. DStv Media Sales also has a new logo that sadly looks like an amateur mish-mash of clashing and repulsive colours, seems to incorporate every shape from a circle to an ellips (just not a block) thrown together, and a font addition (IN CAPS!) that doesn't make sense at all. Remember: new people or possible clients who see your logo don't know, remember (or frankly care) how you looked before, and how that infused the new logo. The new DStv Media Sales logo that looks horrible to me, makes so many questions bubble to the surface: Where are you supposed to look? What first grabs your eye (and what should)? Why does this logo look like something that belongs on the side of an experimental satellite rocket South Africa tried to build in the 80's? And finally: Is there a red dot sale going on somewhere I don't know about? In place of the graceful Oracle Airtime Sales logo that was evocative of an eye (symbolically in keeping with viewing things, because this is television) there is a massive red dot. Yes. Just like the Japanese flag. Why keep this bit out of the old logo and make it the most prominent element because of its size and colour but then position and misuse it so that it seem like the very part that least belongs in the new logo? I'm not an iconographer but I can tell you the colour of the ellips - now turquiose - should be the same colour as whatever its symbolically encapsulating. Sadly the ellips is not the colour of the dot or of the ''writing''. The whole shebangle literally screams in colour terms. And its not a good scream. It's hard to fathom what DStv Media Sales actually wants the new logo to say. What does the logo communicate visually and non-verbally in a symbolic sense? Sadly in my opinion, very little. It looks to me like one akward Russian company merged with another and were forced to come up with something of each that makes very little sense. Like the hybrid creatures on the island of Doctor Moreau. The ALL CAPS doesn't exude understated confidence (which is what you'd rather want to portray if you're in sales and want to make a great first impression) but conveys in-your-face jimble-jamble. Positioned so close to the beautiful futuristic liqui sans serif font of the word ''DStv'', it gives an overall clashing impression. The sets of type just don't fit. Your eyes unconsciously tell you the D's and the S's in the logo don't look the same - that something is ''wrong''. It comes across as unrefined. In my opinion DStv Media Sales should relook their new logo, definitely simplify the colour scheme, go for a more unitone palette, and drop or do something different with that little bit of Tokyo. DStv Media Sales represents quality and premium brands who live and breathe in the very visual videosphere. Their logo (in our hyper visual world) should reflect that. GOODBYE, OPRAH. ''We're all quite nostalgic about The Oprah Winfrey Show coming to an end,'' says South Africa's O Magazine editor. 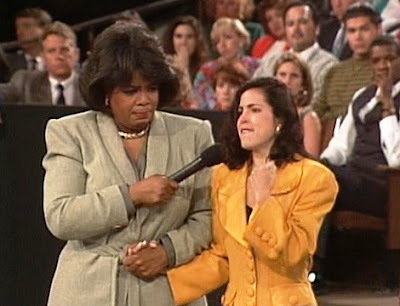 After 25 years the very final episode of The Oprah Winfrey Show is going out today in America, an hour in which a tearful Oprah Winfrey - alone, with no guests - stands in front of her very last Harpo studio audience, telling them what they have meant to her. The South African team of O, The O Magazine over at Associated Magazines is working on a spectacular July issue that really will be something you need to get if you've ever watched; ever enjoyed The Oprah Winfrey Show (weekdays, SABC3, 17:30). I've asked Samantha Page, the editor of O, The O Magazine in South Africa, about today's bittersweet popculture moment. What is O, The O Magazine working on for July? Samantha Page: For our July issue we are looking at publishing the beautiful 25th Anniversary article which appeared in the June American O Magazine, highlighting some of the most memorable moments of The Oprah Winfrey Show. There's also a wonderful interview between Oprah and Gayle King about the incredible journey of their friendship and how they will navigate the end of the show. How does the O magazine staff feel about the TV show ending? We are all quite nostalgic about The Oprah Winfrey Show coming to an end in its current format. We are extremely excited, though, about OWN [Oprah's new TV channel] and the endless possibilities of content the new network offers the magazine. I think, if anything, we are going to see more of Oprah and more of the positive message of living one's best life. What has been your feedback so far on the 25th and final farewell season in your offices from viewers since the show started again on SABC3? It has been an incredible season, as it was always promised to be - filled with everything the world has come to know and expect from Oprah: surprise, delight, fairy-dust, magic and a whole lot of heart. With Oprah ending the show to focus her attention on her TV channel OWN – which might very well also go international and come to South Africa and Australia for instance – is there anything people can do to add their voices in support? Who do people write or tell or ask and how do they do it? I'm sure there are many people out there who would love to see OWN in South Africa. I'm not aware of any official petition or support group to lobby for OWN coming to our shores, but maybe that is a good idea! Can you share something you spoke about the last time you talked to Oprah? Oprah is a consummate professional, so she is always interested in her various enterprises, which includes O magazine, South Africa. The last time we spoke we talked about the books we were reading, the movies we had seen, and how much we both admired Patrick Swayze. ALSO READ: ''Goodbye, Opie.'' Homer struggles to say Oprah as the talk show queen says goodbye. ALSO READ: A ''Beautiful Goodbye'' as Oprah says goodbye to viewers after 25 years. GOODBYE OPRAH. ''Goodbye, Opie.'' Homer struggles to say Oprah as the talk show queen says goodbye - just like she is today in real life. ''Goodbye, Opie,'' said Homer from The Simpsons as he waves goodbye to Oprah Winfrey. 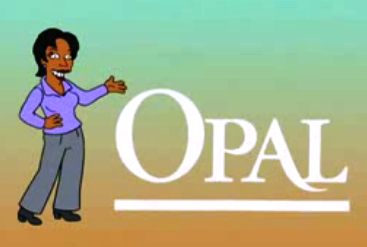 Years ago, in a TV special Oprah Behind the Scenes, Oprah Winfrey visited The Simpsons. The talk show host became animated when she stepped out of her limo as she pulled up in front of the Simpson's Springfield home. Homer who thought Oprah was only arriving the next day couldn't get Oprah's name right, calling her ''Ofra'' and ''Aura'' and begged her to cut out the bit where he opened the door in his underwear. Of course he strangled Bart on television. Oprah talked with Marge about her very big hair and Lisa tried to get Oprah to adopt her. ''Goodbye everybody,'' said Oprah Winfrey, ''thanks a lot for letting me talk to you,'' as she was getting ready to leave - as she is now in real-life with The Oprah Winfrey Show ending today in America with its final episode after 25 years. ''Okay Homer, my name is Op-rah,'' said Oprah. ''Like opera but with a long 'o' ''. Of course, although Oprah Winfrey never really appeared as herself in The Simpsons, well, Opal did. Opal... from The Opral Show. Opal has a boyfriend called Straightman. Whenever audience members ask about him, Opal suddenly does massive give-aways and festoons her audience with unbelievable prizes and gifts to divert their attention. ALSO WATCH: A ''Beautiful Goodbye'' as Oprah Winfrey says farewell to viewers in her final episode after 25 years. 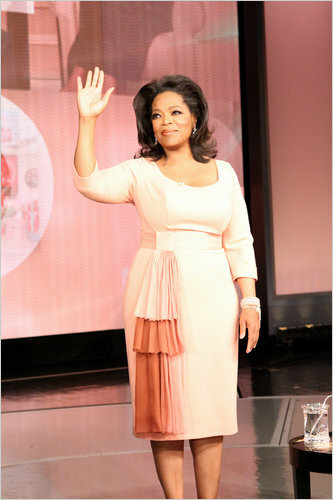 A ''Beautiful Goodbye'' as Oprah Winfrey says farewell to viewers in her final episode of The Oprah Winfrey Show. Today is the end of The Oprah Winfrey Show in America as the long running talk show of Oprah Winfrey marks the end of 25 years on television with a final episode. ALSO READ: Goodbye, Oprah: ''We're all quite nostalgic about The Oprah Winfrey Show coming to an end,'' says O Magazine South Africa's editor. ALSO READ: Goodbye, Oprah: ''Goodbye, Opie.'' Homer Simpson struggles to say Oprah as she says goodbye after visiting Springfield. BREAKING. 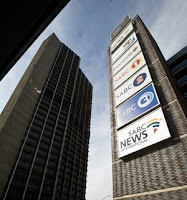 SABC blames drop in ad revenue on growth of internet and mobile platforms; blames previous SABC board for lofty targets. The SABC has fallen more than R160 million short of its projected advertising income and told the South African government today that it's blaming the massive growth of internet and mobile platforms that are siphoning away advertiser rands that used to go to the public broadcaster. The SABC also blames the previous interim SABC board for unrealistic and inflated revenue targets. Meanwhile politicians slammed the SABC for its bad presentation, submitted documents that were not adhering to parliamentary requirements and wondered where most of the SABC delegation were since only a few SABC representatives turned up. The SABC's acting group CEO Robin Nicholson wasn't there. The SABC admitted that did not make its advertising revenue target and has fallen short of the promise it made to the government in return for a government loan-guarantee of R1,47 billion in 2009 that helped to bail out the beleaguered South African public broadcaster. The SABC is currently going through a corporate turnaround strategy and downsizing that has SABC unions fuming. Deadlocked salary negotiations with the SABC unions has stalled and will start again this coming Monday. The SABC that met with the National Treasury and the department of communication this past Friday to talk about the broadcaster's financial affairs, told parliament's portfolio committee on communications in Cape Town today that the SABC's projected total revenue will be R5,173 billion compared to the set target of R5,569 billion. That is R396 million less that what the SABC agreed to. The SABC made R3,34 billion in advertising revenue, R161 million less than set out in the government guarantee target. Sponsorships is R88 million less that the R607 million target at only R519 million. The revenue from TV licences are also R65 million less at R868 million. ''Content exploitation'' meaning selling programming and rights to other broadcasters also only brought in a paltry R39 million compared to the R84 million the SABC promised. In its presentation before government the SABC blames the growth of the internet and consumer mobile industry that is eating away at advertising income that previously went to the SABC. ''The impact of these new entrants has lead to market fragmentation, has and continues to affect the SABC negatively. The compilation of revenue targets by the interim board did not consider these challenges," the SABC said in the presentation. The SABC also blamed the previous interim SABC board for what the broadcaster said was unrealistic revenue targets, saying that the projected sponsorship revenue projection was ''inflated''. The SABC said it now only projects to make a profit of R12,4 million in 2012, as opposed to the projected R228 million the broadcaster promised the government to get the loan guarantee.